In Docker’s early days, container security meant hardening the Docker host system as much as possible, perhaps setting some container quota limits and hoping for the best. Identity management and access control. Container image and registry security. Trying to secure all of these layers manually would not be practical. That’s why several vendors now offer platforms designed to help you keep your entire containerized application stack secure. Here’s a roundup of some of the major vendors vying for a slice of the commercial container security space today. Twistlock. Founded in 2015, specialized in security for Docker containers from the start, with an emphasis on cloud-based deployments (although Twistlock also works with on-premises environments). Twistlock pitches its platform as a holistic container security solution that secures images, runtimes and environment configurations, using scanning and AI-based assessment. Over the past couple of years, the company has expanded its focus to include serverless security, too. Aqua Security. Aqua Security (or Aqua Sec for short), which was also founded in 2015, is very comparable to Twistlock in terms of features and focus. Its container scanner works a bit differently (for a good comparison of that feature, see this post), and some might contend that Aqua is easier to integrate into a CI/CD pipeline. Sysdig. Sysdig, which dates to 2013, promotes itself as an overall cloud security company. Containers are one of its areas of focus, but Sysdig’s purview has historically been somewhat broader than that of companies such as Twistlock and Aqua. That said, Sysdig now emphasizes containers heavily, and pitches its platform as the best tool for building a “unified” security strategy that secures containerized and non-containerized workloads. NeuVector. Founded in the same year as Twistlock and Aqua, NeuVector’s platform secures most parts of a containerized application. However, the company currently focuses on network security, presumably in a bid to differentiate itself from other commercial container vendors. Alcide. Alcide is a newcomer to the world of container security, relatively speaking. It was founded in 2016. It’s comparable to Sysdig in that it markets its platform as a unified security solution for all types of cloud-based workloads, including but not limited to containers. If you’re thinking that there is not a huge difference in features or technical functionality between the platforms described above, it’s because there’s really not. They all provide the same core features for assessing the security of container images and environments. They differ in their specific implementations of those features. One platform might discover vulnerabilities in a container image or configuration that another misses, for example. But they do differ in their areas of focus and specialty. To a degree, this is a matter of marketing; NeuVector’s decision to promote itself as a container and Kubernetes networking security provider is probably partially an effort to set itself apart in a crowded market. Nonetheless, the security niches that each vendor has chosen to focus on also provide clues on how their platforms will evolve in the future. 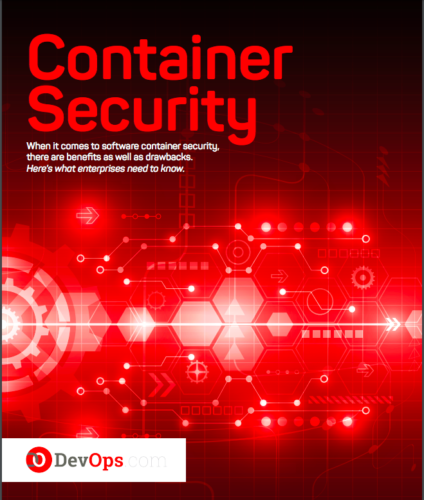 If today most commercial container security platforms are more or less the same feature-wise, the same might not hold true tomorrow as vendors develop stronger specialties oriented around particular features.